Master Blaster is your authorized Landa pressure washer dealer in the Midwest. Our office is in Sioux Falls, and we cover all of South Dakota, along with parts of Minnesota and Iowa. We promise that we'll get you the best pressure washer for your needs at the best price. 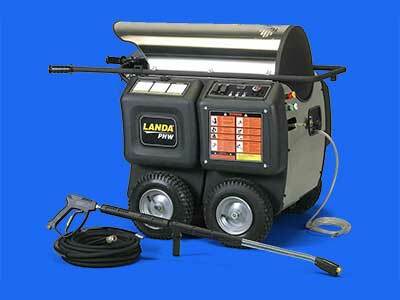 Besides Landa hot water pressure washers we also manufacture our own Master Blaster cold water pressure washers. As you look through our site you'll see lots of models and model numbers. 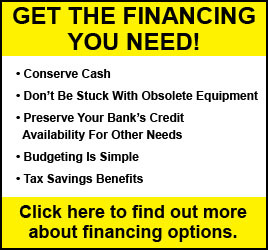 Don't worry about trying to choose between two models, because all of our Master Blaster cold water pressure washers are custom built - which means that we can create exactly the model you need. Our parts and service departments are second to none. We keep virtually every part in stock along with many accessories, which means we don't have to order anything before shipping it on - so you'll get your parts sooner by calling us first. And if you need someone to fix your unit, we have service techs ready to drop everything and head out to your site. We also take trade-ins, which we refurbish and offer at great prices. If you have a pressure washer problem, or need a pressure washer, call Master Blaster in Sioux Falls at 605-543-5817.